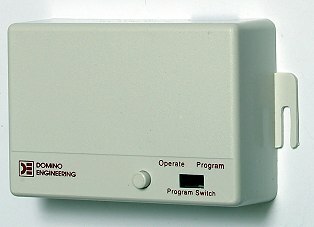 Consisting of an outside permanently mounted keypad and inside control box, the DOMINO KEYLESS ENTRY SYSTEM uses a 1 to 6 digit user code, making the system as easy to program as it is to install. System is quickly programmed in three simple steps. Design protects the unit against the elements. A one to six digit code may be chosen to provide up to 1,000,000 possibilities. Illuminated keypad for easy night-time operation. Additional indicator light provides verification as keys are pressed. Lights dim to indicate batteries should be replaced soon. Special sleep circuitry conserves battery life. 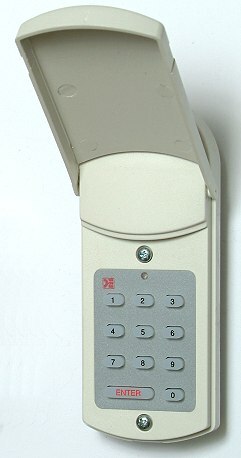 After code is entered and garage door opener is activated, the 'enter' key may be pressed again to stop or reverse the door, without re-entering the code. The 'enter' key remains active for 20 seconds. Conveniently located on control box allows door operation from inside garage. 0.3  3.5 second activation. 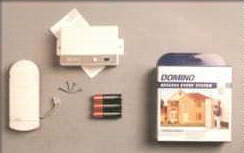 package includes Domino keypad, control box, three AA batteries, four #4 x 3/4" screws, and installation instructions.